My adventures in Vocaloid date back to 2012 when I first started getting into the music I heard on YouTube with Hatsuni Miku. At first I didn’t even realize it was a completely synthesized voice! After I figured out what was going on and what I was hearing, I really wanted to start using it. At that time it was still really hard to get any information on using Vocaloid in the West. I was struggling though Japanese websites and trying to understand all the concepts behind using it. Licensing was a huge pain as well because I had to get my editor from Yamaha, and the only English voice bank I could find at the time was from a company literally called “Internet”, haha. Thankfully it’s much easier now. 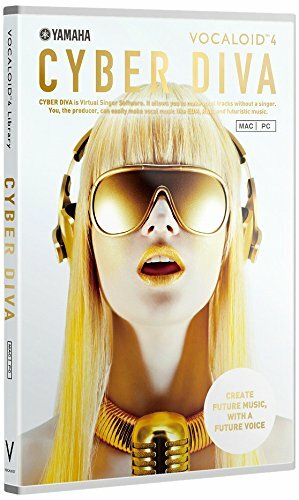 Yamaha put together a completely excellent voicebank called Cyber Diva. Not only is it English, it’s one of the nicest and most realistic sounding Vocaloids I’ve ever heard. I used it as the lead voice on my track “Atlantis Falls” (video below). So how do you use it? Well Vocaloid isn’t just a plugin you plop into your VST folder. It’s a bit more complicated than that. You need a Vocaloid Editor and a Voicebank like Cyber Diva, or Miku to make vocaloid work. The two together will cost you about $200. It’s not super cheap, but considering what you can do with it, it’s not that expensive either. Using the Vocaloid Editor is a bit weird. It is a stand alone program, so my general workflow is to make a rough mix of the song I want vocaloid on, then export that from whatever DAW I’m using at the time as a stereo wav file. Then I open up the Vocaloid Editor and import the rough mix into the editor. There is where you compose the vocals. Vocaloid Editor has the ability to mix tracks and add fx as well, though I don’t really use it for that. Once I finish my Vocaloid tracks, I then export each one individually, and import them into my DAW where I composed the song. Then I do all of my mixing and fx on Vocaloid like it’s a regular vocal track. Anyway, I hope this helps any English speakers who are a bit lost with Vocaloid and gives them an idea of how to get going with this amazing software! This entry was posted in Bedroom Producer, Electronic Music, Vocaloids and tagged english vocaloid, english vocaloid big al, english vocaloid characters, english vocaloid concert, english vocaloid free download, english vocaloid program, english vocaloid software, english vocaloid songs, english vocaloid store, english vocaloid world is mine, vocaloid, vocaloid characters, vocaloid cosplay, vocaloid lily, vocaloid luka, vocaloid miku, vocaloid oliver, vocaloid songs, vocaloid wallpaper, vocaloid wiki on October 2, 2017 by DemonicSweaters. Vocaloid Editor for iOS released by Yamaha has MIDI Control! This is pretty exciting news for fans of Vocaloid. 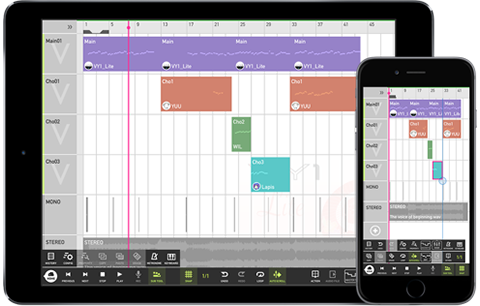 Yamaha received a lot of criticism in the past for not having a Vocaloid editor for Mac OS, but at least now iPad and iPhone users will be able to get in on the action. To be fair, the Cubase plugin version of Vocaloid Editior does run on Mac, but only in Cubase obviously. One of the weirdest things about the Vocaloid Editors up until this point was the fact that there was no real-time midi control. You were stuck with using janky piano roll to compose your vocal tracks. Not only does doing this on the iPad look easier, it also features a full MIDI control feature! Watch the vid above, this really looks incredible. Unfortunately at this time the iOS version is only available in Japan. Hopefully they’ll decide this is worthwhile to do in English for the US market as well. This entry was posted in Anime Music, Vocaloids and tagged apple ios 6, apple ios 8 download, apple ios 9, apple ios fried, vocaloid editor software bundles, vocaloid ios, vocaloid midi, vocaloid midi download, vocaloid midi files, vocaloid midi leia on July 1, 2016 by DemonicSweaters. Here’s another one of my Vocaloid originals. If you like it, you can download it at https://demonicsweaters.bandcamp.com/album/atlantis-falls I composed the music in Sony Acid. I used Vocaloid 3 with the Gumi 3 voice bank. This entry was posted in Anime Music, Vocaloids and tagged vocaloid, vocaloid anime, vocaloid characters, vocaloid cosplay, vocaloid dress up, vocaloid games, vocaloid kaito, vocaloid luka, vocaloid maker, vocaloid oliver, vocaloid rin, vocaloid songs, vocaloid wallpaper, vocaloid wiki, vocaloids on June 27, 2016 by DemonicSweaters. This entry was posted in Vocaloids and tagged games, Hatsune Miku, new 2015, project marai remix, vocaloid on May 15, 2015 by DemonicSweaters.